By Nigel Stokes  Vice President for Global Sales at Coty, Inc.
After 15 years working in Trade Marketing across the CPG industry – primarily in healthcare and home cleaning – I now find myself faced with a new challenge: the U.S. consumer beauty industry. 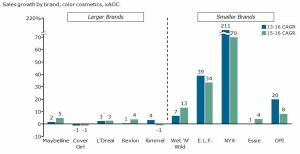 Buffeted by quickly-shifting trends and new entrants, large consumer beauty manufacturers have little choice but to be nimbler than many of their CPG peers. Yet the questions that underlie any successful strategy are simply variants of those I have asked myself time and time again. The beauty industry is changing – how and why? The U.S. retail landscape is shifting – what are the drivers? Large beauty manufacturers will be affected – in what ways? Surviving in this new environment will be challenging – how can Trade Marketing help? Each of these questions leads toward a clear answer: In our changing world, Trade Marketing will be the key weapon for harnessing change. In this article – by way of these four questions – I will examine what beauty manufacturers need to do to stay ahead of the curve. The beauty industry is changing – but how and why? We live in an age of disruption, and the consumer beauty industry is no exception. Four dynamics, all of which are accelerating, are changing what beauty consumers want and what beauty manufacturers need to deliver. Demographics: An ever-more diverse country, paired with a growing emphasis on inclusiveness, has pushed beauty manufacturers to finally create and market products that help every consumer become their best selves. But diversity is only one element. Manufacturers will also need to become keen readers of demographic trends as the population ages and becomes more cosmopolitan. Lifestyle Trends: Consumers are demanding different things from the products they buy. For one, more than ever, they demand products that engender health and wellness. Organic, in the minds of many consumers, is now the expectation. Manufacturers will need to keep pace with consumers’ lifestyles, which will increasingly emphasize products designed with health in mind. In tandem with this shift, manufacturers will need to decide if the millennial shopper is more influenced by marketing or what is on trend. Increasingly, consumers care more about products being on trend and having the right value proposition than being attached to traditional marketing strategies, such as celebrity endorsement. Digital Disruption – Access to Information: With a single swipe, a consumer shopping the aisle can access limitless information on any product. The days of simply deciding between Brand A and Brand B are long gone, replaced by consumers’ ability to leverage reviews of individual products to decide what is best for them. The proliferation of peer-to-peer information – product reviews on retailers’ websites, blogs, and social media – means that brands need to craft a compelling story for every product. Consumers now play a central role in the dissemination of information about a product, meaning that manufacturers need to communicate that story through an array of channels. Digital Disruption – Path to Purchase: The traditional point of contact between beauty manufacturers and their consumers, the cosmetics aisle, may be giving way to a digital experience. Experts project the number of smartphones in the U.S. to reach 310 million by 2019. Though beauty remains in the early adoption phase when it comes to digital – only about 7% of purchases are online – digital purchases could accelerate. Should they do so, beauty manufacturers will have to craft a shopping experience from bits and bytes that is as compelling as the in-store experience they have honed for decades. These four disruptions have resulted in dramatic changes. Caught off-guard by the pace of change, all major brands have lost market share. And though many have mounted commendable efforts to adapt to their new environment, their ability to thrive in this new world remains an open question. The flat-footedness of beauty’s biggest brands has created opportunity for smaller players. Nimble, innovative and resourceful, niche brands can quickly leverage trends to generate explosive growth. Their small size and entrepreneurial spirit incubate successful digital strategies that break down traditional barriers to entry. Moreover, the beauty industry is among the most vulnerable CPG categories when it comes to new entrants. For instance, since 2011, packaged goods and cosmetics has ranked seventh among 21 CPG categories in terms of new public company listings. Importantly, however, these brands avoid tying themselves to a single strategy. When trends change, they change too. This agility enables small brands to appeal to the ever-changing beauty consumer, one no longer defined by traditional demographics like age, race, gender, or income. 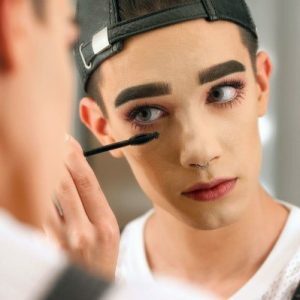 If large beauty manufacturers hope to compete in this new environment, they will need to take a page – or several – from these smaller brands’ playbooks. They will need to stop playing catch-up and innovate before the innovators. They will need to foster ownership and innovation amongst their employees. And they will need to do so while building loyalty with consumers who have more choices than ever. Pundits and product managers alike are poor predictors of the future, but there is one thing of which they can be certain: The U.S. retail landscape will continue to change at breakneck speed for the next 5-10 years. Retailers and manufacturers will have no choice but to adapt or risk irrelevance. For decades, manufacturers could depend upon traditional channels – hypermarkets, drug stores, and supermarkets – to deliver consistent growth. But to paraphrase one recent Nobel laureate, the times are a-changin’. Recent years have witnessed the proliferation of a litany of new players in retail: deep discounters, premium niche banners, membership-based clubs, and e-commerce. All have taken share from the traditional leaders; and the trend is poised to continue. As German discounter Aldi continues its U.S. expansion and competitor Lidl aggressively enters the market, the deep discount segment is expected to grow two- to three-fold. Meanwhile, beauty giant Ulta continues to open new stores while growing same-store sales at a double-digit clip. Even the biggest retailers have recognized the trend: Look no further than Walmart’s $3.3 Billion purchase of e-commerce challenger Jet.com. Therefore, if traditional retailers hope to compete, they will need to craft and sell a compelling value proposition, one capable of dislodging the ease of shopping from home or the economics of buying in bulk. An example of a firm that has successfully done this is Sephora. The rapidly-growing retailer has managed to create a shopping experience superior to drug or big box stores, but also managed to keep prices on its private label brands only slightly above what consumers would pay elsewhere. Underlying these shifts are changing consumer attitudes and shopper behaviors. American beauty consumers are defining value in new ways, emphasizing opposite ends of the price spectrum. Some, expecting low prices, embrace private labels and are happier than ever to buy in bulk. Others, meanwhile, prioritize fresh, healthy alternatives and a premium shopping experience over the traditional household names. And the common thread across all consumers? An ease with buying their beauty products online. They must hold their ground and reignite growth with traditional retail channels without overinvesting. Beauty manufacturers cannot forget that even though new channels drive growth, the bulk of their business still comes from their traditional partners. Too often, managers fail to ask the most fundamental questions about their businesses: What is the future potential? What are the investments and resources required to reach that potential? How can we leverage our existing capabilities? At the same time, managers frequently overlook the importance of the details. Without a five-year profit and loss projection by brand, strategic discussions are ephemeral, grounded not in facts but intuitions. The answers to these questions, informed by robust analysis, decide where you will play and how you will win. A firm’s position in the market – from how a brand portfolio stacks up, to a brand’s ability to address the needs of consumers in growing channels, to a manufacturer’s competitiveness with niche players – depends on a thorough understanding of not just what a brand is, but what is aspires to be. At the core of any strategy is the ability to make tradeoffs. And this is precisely what large beauty manufacturers must do as they plan their go-to markets. Immediate success will require shifting resources of time, money, and people to better serve high-growth customers. Lasting success will require building capabilities ready to capture future growth, even if it comes from unexpected quarters. Successful firms have done this by seamlessly integrating trend observation and strategy formulation, with sales reps sending reports of new competitive activity to the Trade Marketing team in real time. But tradeoffs must do more than respond to growth: They must seek to challenge the status quo. At present, most CPG companies are designed to serve eroding channels, such as drugstores and hypermarkets. Supply chains are designed to deliver long batches and full pallets to serve large distribution centers. Sales organizations are designed around large accounts with traditional volume-based KPIs. And, perhaps most importantly, traditional brand marketing teams are built and resourced for a ‘one size fits all’ model. The result? Sluggishness in responding to rapidly-shifting trends. In a dynamic retail landscape, CPGs need flexibility to meet the needs of an increasingly-varied customer base, the ability to react to trends, and the capacity to evolve their strategies to align with the retailers they serve. This means developing new capabilities to serve new customers – supply chains that accommodate multi-brand, multi-product pallets; light-touch sales organizations that rely extensively on technology; new sales models that allow for greater cross-functional teaming. When large beauty manufacturers negotiate with growing retailers like Amazon, they will need to present a compelling case for the superiority of their capabilities up and down the supply chain. At Coty, Inc., for instance, we are working to aggressively respond to these changes. At the core of our strategy is building digital capabilities, an effort we jump-started by acquiring Beamly, a digital marketing agency with expertise in creating content that consumers find engaging and shareable. Our capabilities revolve around four pillars: developing actionable marketing insights through social listening, rapidly creating and testing new content, optimizing our deployment of media, and distributing that media through optimized channels to drive sales conversion. It is well established that big beauty manufacturers are looking to buy smaller brands. The past few years have seen a spate of acquisitions. In 2010, for instance, L’Oreal acquired growing nail color brand Essie. Just last year, L’Oreal also purchased NYX, a brand known for its loyal following, as well as IT Cosmetics. Even more recently, Coty purchased the cosmetics startup Younique. However, simply buying growing brands will not be enough. Large manufacturers need to help the companies they purchase grow. The experience of the past few years suggests that the best method may be to provide growing brands with high degrees of autonomy – that is, the space to keep doing what they do best: grow. In this dynamic environment, traditional retailers and large manufacturers will face a common challenge: increasing demands from suppliers. Meanwhile, manufacturers will be forced to contend with greater demand for investment from high-growth retail channels. Maintaining margins in this two-sided squeeze will require manufacturers to prioritize cost efficiency. The reinvention of supply chains for low costs and service benefits will be a necessity, as will zero-basing traditional brand media costs. Keeping costs low will be enabled by portfolio simplification. Too many large consumer beauty manufacturers have allowed their portfolios to swell unnecessarily. Rather than producing an individual SKU for every individual consumer, manufacturers should focus innovation on products attractive to wide audiences. Still, with all this in mind, any large consumer beauty manufacturer is left with one question: How do I implement this? The importance of Trade Marketing is clear, but precisely how to build a great Trade Marketing team is another question. Fifteen years ago, early in my career in Trade Marketing, my mentor pulled me aside for a word of advice. In the 15 years since, I have seen successes and failures. Time after time, the elevation of Trade Marketing to a top-level, strategic role in the business drove success. The route to success for large consumer beauty manufacturers is no different. If the industry’s largest brands hope to navigate the unprecedented headwinds they now face, their first action should be to build and elevate talented Trade Marketing teams. Some trade marketing teams leverage their unique vantage point within a business to drive exceptional growth, while others settle for the merely acceptable quarterly result. Those belonging in the former buckets – the ones who consistently perform at the top of their game – do so through effective integration and clear ownership. Specifically, the best trade marketing teams constantly find ways to bring the traditionally-disparate departments of sales and marketing together. They refuse to be constrained by the excuse, “We just don’t have anything to do with that,” and relentlessly push both sales and marketing to consider how their decisions affect one another. Moreover, extraordinary Trade Marketing teams take ownership. They feel personally responsible for a P+L. Unafraid of complex analysis, they dive into the details of demand planning. Cognizant of the effects of costs on the bottom line, they actively engage in improving logistics and supply chains. In sum, this entails taking direct ownership for the commercial strategy underpinning the business. The effective Trade Marketing team takes as its responsibility a plethora of steps, ranging from the product sold at check-out to the origin of the supply chain. Such a team starts by thinking “consumer first” and ends by thinking “selling,” but never neglects to consider every element in between. Understanding each of those elements, though, requires parsing out dedicated roles and responsibilities in the Trade Marketing team. For instance, once a marketing team understands how to deliver against unmet consumer needs, the challenge remains to understand and leverage how shoppers in a given category behave. To accomplish this, Trade Marketing teams need to carve out dedicated roles – essentially, “shopper marketing teams” – focused on identifying and understanding consumption opportunities, which are in turn determined by the consumer marketing team. From here, the trade marketing team can frame an answer to the core question, “Who is the shopper?” Only through this understanding can the team leverage analytics to deliver against penetration, frequency, or trade-up opportunities. Let’s take an example, and walk through how a Trade Marketing team would transform an opportunity recognized into an opportunity realized. Suppose a team wants to drive brand penetration amongst 20-35-year old women in the color category. This can be accomplished in three steps. As always, the first step would be to “understand your consumer” – traditionally the role of brand marketers, whose work is ultimately to deliver against unmet consumer needs. Next would be channel prioritization – where and how to find the target shoppers (who may or may not be the end consumer). For some CPG companies, this is easy. Coca-Cola, for example, only has to put their product within arm’s reach; it is as simple as being everywhere, all the time. But consumer beauty has no such luxury. Facing a complex and shifting mix of shopper targets and categories, a beauty manufacturer will have to incorporate detailed analytics into its channel prioritization to understand who is shopping where, for what, and for what occasion. The third step would be to craft a compelling narrative with which the manufacturer will navigate the complexities of the target shopper, industry trends, and retailer strategies. 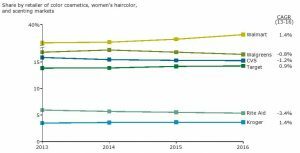 For example, selling to the 20-35-year old segment would require a narrative that takes into account the current trend for wash-out hair artistry in the hair color category. But it would also require a more logistical mindset – that is, a recognition that for a host of reasons, including store opening hours and locations, the target shopper could be likely purchasing products outside of the traditional grocery and drugstore settings. The final stage would be deploying the “4P” mix: product, place, price, and promotion. But in today’s dynamic environment, rehashing well-worn frameworks will not be enough. Savvy Trade Marketers will transform the 4P’s into the 4E’s. Put another way, how does the Trade Marketer set strategies to bring a proposition to life, giving the shopper a product experience rooted in their needs? Moreover, how does that proposition relate to the shopper’s environment, even if that environment is the ubiquitous digital realm? Traditionally, Trade Marketing professionals have thought that shoppers make decisions as the 4Ps would have us believe. But nowadays, they need to expand their thinking to embrace a more holistic vision of the shopping experience. It goes beyond the immediate decision of “Brand A or Brand B,” and is instead about linking each product to a clear value proposition. Let’s break down exactly what I mean by each of these 4Es. Experience: Today’s consumers demand products that fit in seamlessly with their lives. This necessitates that Trade Marketer set strategies to bring a proposition to life, giving the shopper a product experience rooted in their needs. Everyplace: Shopping now happens in more places than just the beauty aisle – look no further than the proliferation of blogs focused on beauty products for proof. This forces manufacturers to ask how their products – and those products’ marketing and display – relate to the shopper’s environment, even if that environment is the ubiquitous digital realm? Exchange: Traditionally, Trade Marketing professionals have thought that shoppers make decisions as the 4Ps would have us believe. But nowadays, they need to expand their thinking to embrace a more holistic vision of the shopping experience. Purchasing a product is really about an exchange of value – it takes shopping beyond the immediate decision of “Brand A or Brand B,” and is instead about linking each product to a clear value proposition. 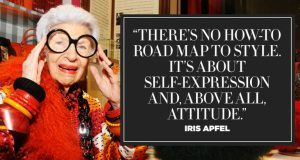 Moreover, shoppers demand a value proposition that resonates not with an unobtainable vision of beauty, but rather with their best selves. Evangelism: This rethinking of the first three of the 4Ps brings us to the fourth – rethinking promotion as Evangelism. Only with an experience that inspires can manufacturers hope for consumers to engage with the brand and spread the word to friends and family. In an increasingly digital world, this prerogative will become only more critical. Importantly, though, a Trade Marketing team cannot be expected to accomplish all of this overnight. Large beauty manufacturers cannot expect to be successful if they suddenly rebrand existing teams as “Trade Marketing” and leave it at that. Rather, they need to recruit and train individuals with experience across sales and marketing. Manufacturers should seek out individuals with strong analytical skills and, equally importantly, an ear for what customers and consumers are looking for. The mandate is clear – all that is required is the doing. The Trade Marketing team needs to take responsibility for ensuring the relevance of the brand strategy, both to the consumer and the channel in which that consumer buys. In this effort, the whole will be more than the sum of the parts. Failure to take into account just one element – forgetting format and channel strategy in favor of formula innovation, for instance – can sink an entire strategy. But if a Trade Marketing team can leverage the framework outlined above the balance the long list of priorities with which they will inevitably be tasked, they will have little trouble driving growth. It is an approach at once bold and measured, disruptive and cautious – an approach that will withstand even the most challenging of environments. Nigel Stokes is a Vice President for Global Sales at Coty, Inc., a leading global consumer beauty manufacturer. He previously served as a Vice President of Sales at Reckitt Benckiser. Contact him at nigel_stokes@cotyinc.com. I am far from the first to suggest the importance of Trade Marketing for the success of a firm. Scholars have emphasized its importance for nearly two decades. For further reading on Trade Marketing, see Benson Shapiro, “Want a Happy Customer? Coordinate Sales and Marketing,” Harvard Business School, October 27, 2002, http://hbswk.hbs.edu/item/want-a-happy-customer-coordinate-sales-and-marketing; Belinda Dewsnap and David Jobber, “The Sales-Marketing Interface in Consumer Packaged-Goods Companies: A Conceptual Framework,” The Journal of Personal Selling and Sales Management 20 (2000): 109-119, http://www.jstor.org/stable/40471776. Richard Dobbs et al., “Emerging Demographics Are the New Emerging Markets,” Harvard Business Review, July 13, 2016, https://hbr.org/2016/07/emerging-demographics-are-the-new-emerging-markets. Naomi Attwood, “Natural makeup and skincare: The rise of organic beauty products,” The Independent, August 8, 2016, http://www.independent.co.uk/life-style/fashion/natural-makeup-skincare-best-organic-beauty-products-deliciously-ella-neals-yard-remedies-a7169871.html. For a discussion of how millennials approach brands and purchasing decisions, see Kahle Mandarino, “Niche Brands: Understanding how niche fashion startups connect with Millenials,” Joseph Wharton Scholar Senior Thesis, http://repository.upenn.edu/cgi/viewcontent.cgi?article=1016&context=joseph_wharton_scholars. Itamar Simonson and Emanuel Rosen, “What Marketers Misunderstand About Online Reviews,” Harvard Business Review, January-February 2014, https://hbr.org/2014/01/what-marketers-misunderstand-about-online-reviews. Poonam Goyal and Mariam Sherzad, “Mobile shopping shifts spurs retailer spending,” Bloomberg Intelligence, April 27, 2016, https://www.bloomberg.com/professional/blog/mobile-shopping-shift-spurs-retailer-spending/. Tien Tzuo, “Large CPGs are under attack by startups … and consumers are winning,” TechCrunch, September 28, 2016, https://techcrunch.com/2016/09/28/large-cpgs-are-under-attack-by-startups-and-consumers-are-winning/. “Consumer Non-Durables Companies,” Nasdaq, http://www.nasdaq.com/screening/companies-by-industry.aspx?industry=Consumer+Non-Durables. Jordan Yadoo, “E-Commerce Sales Are Surging,” Bloomberg, May 15, 2015, https://www.bloomberg.com/news/articles/2015-05-15/e-commerce-sales-are-surging. Walter Loeb, “Ulta Beauty’s CEO Mary Dillon Is a Dynamo Driving Growth and Profits,” Forbes, Oct. 4, 2016, http://www.forbes.com/sites/walterloeb/2016/10/04/ulta-beautys-ceo-mary-dillon-is-a-dynamo-driving-growth-and-profits/#3a346fbfdef0. Leslie Picker and Rachel Abrams, “Walmart Rewrites Its E-Commerce Strategy With $3.3 Billion Deal for Jet.com,” The New York Times, August 8, 2016, https://www.nytimes.com/2016/08/09/business/dealbook/walmart-jet-com.html. Khadeeja Safdar and Sharon Terlep, “As Sephora Adds Products, Rivalry Heats Up at Its Stores,” The Wall Street Journal, January 8, 2017, https://www.wsj.com/articles/as-sephora-adds-products-rivalry-heats-up-at-its-stores-1483876801. James Allen, “How the Best CEOs Get the Important Work Done,” Harvard Business Review, September 27, 2016, https://hbr.org/2016/09/how-the-best-ceos-get-the-important-work-done. For more on Beamly, visit https://www.beamly.com/. Adrianne Pasquarelli, “L’Oreal acquires Queens nail polish brand,” Crain’s New York Business, April 21, 2010, http://www.crainsnewyork.com/article/20100421/SMALLBIZ/100429960/loreal-acquires-queens-nail-polish-brand. Clare O’Connor, “Banking on Beauty: How Toni Ko Built NYX Cosmetics Into a $500 Million Brand,” Forbes, June 1, 2016, http://www.forbes.com/sites/clareoconnor/2016/06/01/toni-ko-nyx-cosmetics-loreal-sale-richest-women/#374d18705ac0. Nick Turner and Stephanie Hoi-Nga Wong, “L’Oreal Agrees to Buy IT Cosmetics for $1.2 Billion in Cash,” Bloomberg, July 22, 2016, https://www.bloomberg.com/news/articles/2016-07-22/l-oreal-agrees-to-acquire-it-cosmetics-for-1-2-billion-in-cash. Khadeeja Safdar, “Coty Buys Younique, Valuing Cosmetics Startup at $1 Billion,” The Wall Street Journal, January 10, 2017. The importance of this is nothing new; the best CPG players have been doing it for decades. By the early 1990s, giants such as Kraft were already sorting shoppers into distinct groups with clear needs. Michael Treacy and Fred Wiersema, “Customer Intimacy and Other Value Disciplines,” Harvard Business Review, January-February 1993, https://hbr.org/1993/01/customer-intimacy-and-other-value-disciplines. Brian Fetherstonhaugh, “The 4Ps are out, the 4Es are in,” Ogilvy & Mather, April 19, 2009, http://www.ogilvy.com/On-Our-Minds/Articles/the_4E_-are_in.aspx.